Tell me teachers, why did you not force me to read this in my formative years? It's a known fact Phoebe, you've got to go there to know there. Your papa and your mama and nobody else can't show you. Two things everybody's got to do for themselves: they got to go to God and they got to find out about living for themselves. Their Eyes Were Watching God takes its title from an incident in Janie Mae's life. Janie Mae and Tea Cake miss the opportunity to flee a coming hurricane and are forced to run for their lives when the berm surrounding Lake Okeechoobee is breached. The wind came back with triple fury and put out the light for the last time. They sat in company with others in other shanties. Their eyes straining against crude walls and their souls asking if he meant to measure their puny might against his. They seemed to be staring at the dark, but their eyes were watching God. Descriptions and appellations fail me. 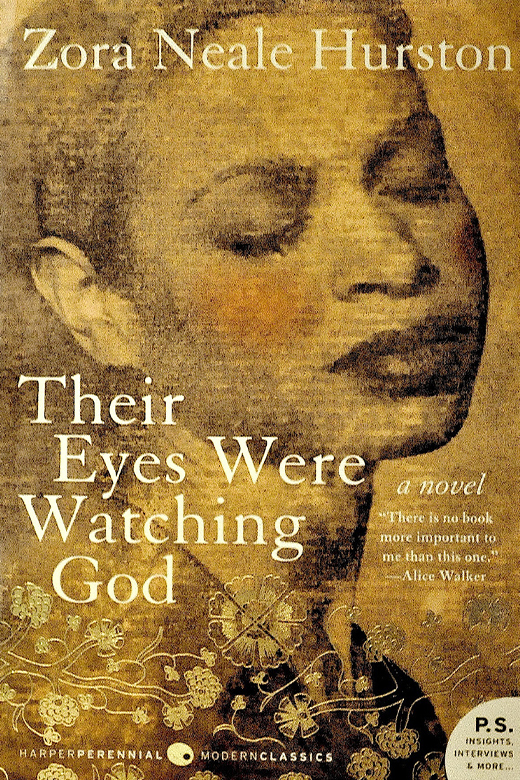 Their Eyes Were Watching God has all the indications that God was watching over Zora Neale Hurston as she wrote. 1. The dialogue: I am there, standing in the shadows listening to these intimate moments. "Put me down easy Janie, I'm a cracked plate." 2. The culture: This is a deep dive into the migrant culture of the day. 3. The language: Even as I review passages I smile. So rich. "Let them consolate themselves with talk because talking don't amount to a hill of beans when you can't do nothing else. And listening to that kind of talk is like opening your mouth and letting the moon shine down your throat." 4. The weakness: "The town had a basket full of feelings good and bad about Joe's positions and possessions, bunt none had the temerity to challenge him." 5. The love" "My love didn't work like their love if they ever had any. "Then you must tell em that love ain't something like a grindstone, that do the same thing everywhere and do the same thing to everything it touched. Love is like the sea, it's a moving thing. But still it all takes its shape from the shore it meets, and it is different with every shore." Their Eyes Were Watching God is a 2018 Top 10 for me.